This 25mm x 14mm speaker is a tough little beast capable of accepting 2W of audio and still producing a clear and accurate sound. The military spec. rating of these speakers means they are dust proof and IPX5 certified water proof. 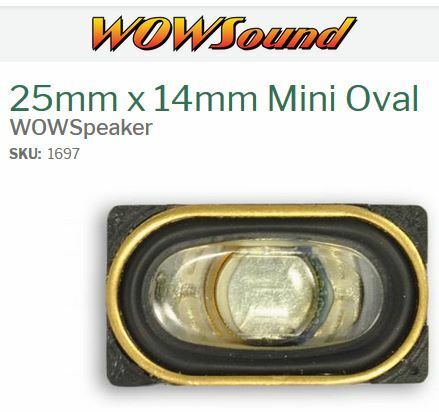 Truly an impressive speaker in a package small enough for most steam installs and the more dedicated diesel installs.